Hello, coffee lovers. If youÃ¢€â„¢ve ever had a hot, delicious cup of organic coffee, you know the taste is richer and the beans are more pure than those mass produced, pesticide-riddled coffee beans. Our hand-grown, hand-picked selection of organic coffees are grown in fair trade coffee regions around the world. We take pride in the Fair Trade guidelines and work hard to ensure our coffee business supports the local communities where our coffee beans grow. 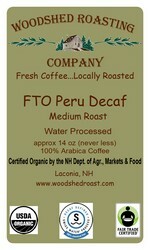 We guarantee our organic coffees will delight your senses. For those looking for a cup of coffee to wake up with, try our Papua New Guinea blend. This medium-dark roast boasts a delightfully earthy taste with butterscotch notes. Or if youÃ¢€â„¢re looking for a cup of coffee to relax with, youÃ¢€â„¢ll love our Sumatra Mandheling blend. This blend has deep fruity notes and an overall smooth taste. Whatever your coffee experience delight, our high farm to cup process delivers organic, fair trade coffee collection that your taste buds will love!